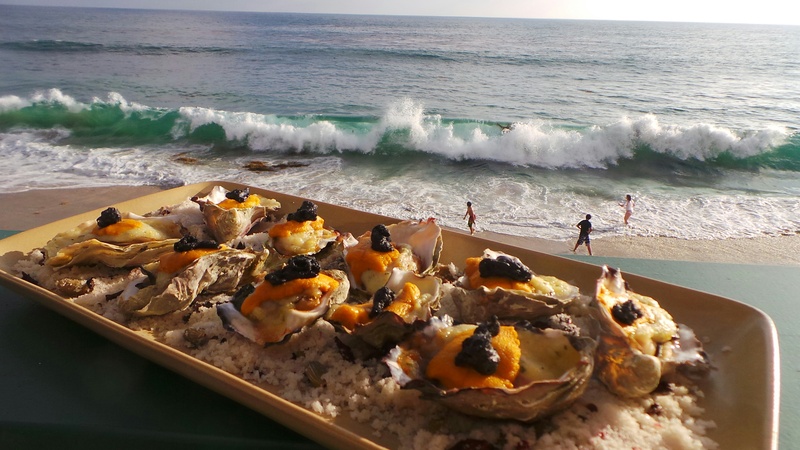 The Deck on Laguna Beach, together with The Bungalows at Pacific Edge Hotel, and the recently opened Driftwood Kitchen, will host “Sip & Shuck” on Sunday, November 9th from 2-6 p.m. to benefit the Pacific Marine Mammal Center. The event will give guests the unique opportunity to experience a variety of hand-shucked oysters and sparkling wines from around the world, all while enjoying panoramic ocean views at the oceanfront restaurants. Executive Chef Rainer Schwarz and his team will also prepare delicious tastes from both The Deck and Driftwood Kitchen. General admission tickets for the 21-and-over event are available for purchase for $45 general and include oysters and small bites, as well as unlimited access to champagne, wine, cocktail and beer sampling. VIP admission, priced at $95 includes all general admission offerings, as well as access to the VIP lounge, a private bartender and the luxury bungalow deck and living rooms with private entertainment and food offerings. The Deck on Laguna Beach is located at 627 Sleepy Hollow Lane, nestled between the Pacific Edge Hotel and the Pacific Ocean, just off Pacific Coast Highway. For more information or to purchase tickets for Sip & Shuck, please visit http://www.thedeckonlaguna.com and click on the “Events” tab.